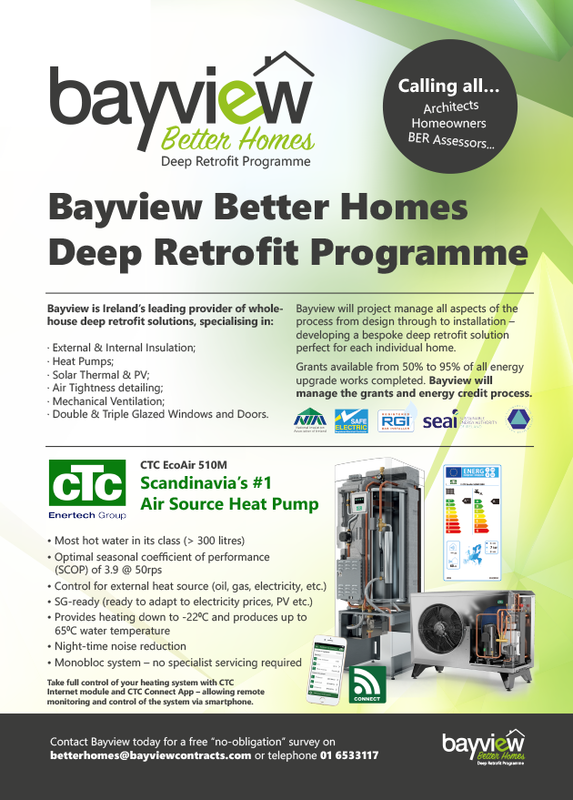 Bayview is Ireland’s leading provider of whole-house deep retrofit solutions. · Double & Triple Glazed Windows and Doors. Bayview will project manage all aspects of the process from design through to installation – developing a bespoke deep retrofit solution perfect for each individual home. Grants available from 50% to 95% of all energy upgrade works completed. Bayview will manage the grants and energy credit process.